For those who cannot afford the hustles of developing websites from scratch, there are now several content management systems (CMSs) such as WordPress that you can take advantage of to setup blogs as well as complete websites with a few clicks. 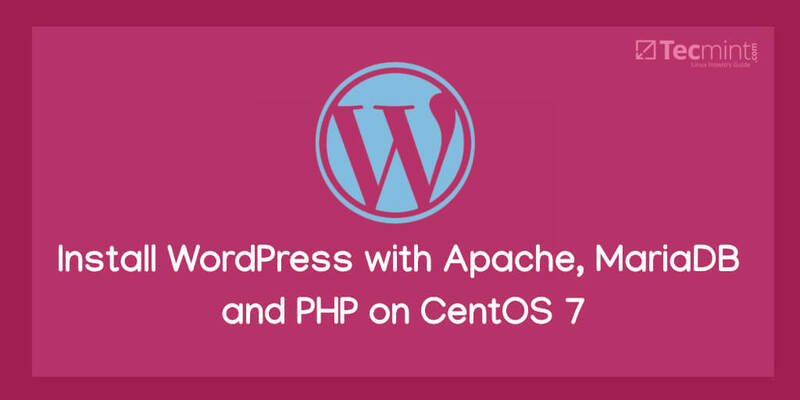 WordPress is a powerful, free and open-source, highly pluggable and customizable CMS that is being used by millions around the world to run blogs and fully functional websites. It is easy to install and learn, especially for persons who do not have prior website design and development knowledge. With millions of plugins and themes available, developed by an active and dedicated community of fellow users and developers, that you can utilize to tailor your blog or website to work and look just the way you want. A dedicated VPS with a registered domain name, I suggest you to go for Bluehost hosting, which offers 50% off, one Free Domain name and Free SSL. 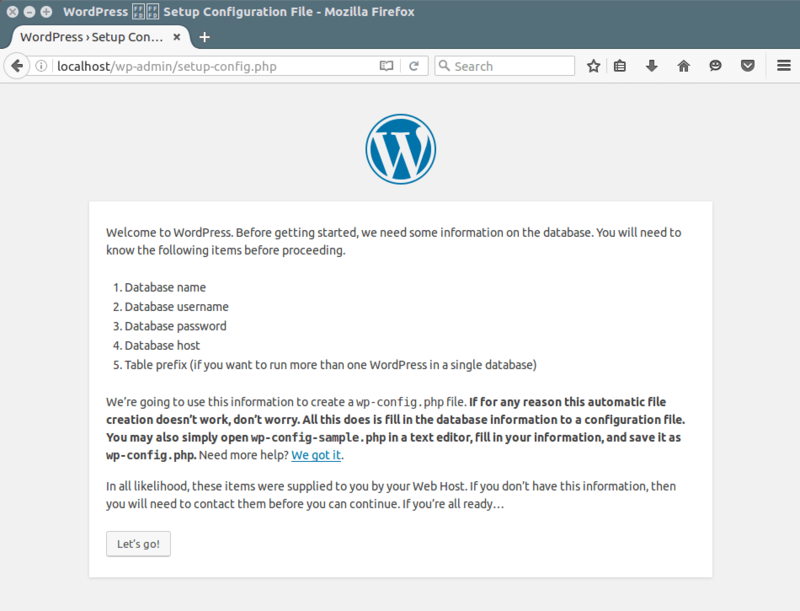 In this post, we shall run through the various steps you can follow, to install the latest version of WordPress 5.3 on Ubuntu 18.10-18.04, Ubuntu 16.10-16.04 and Linux Mint 18-19 with LAMP (Linux, Apache, MySQL and PHP) stack. First, we shall uncover the various steps for installation of LAMP stack before progressing to install WordPress. To test whether the server is running, open your web browser and enter http://server_address. 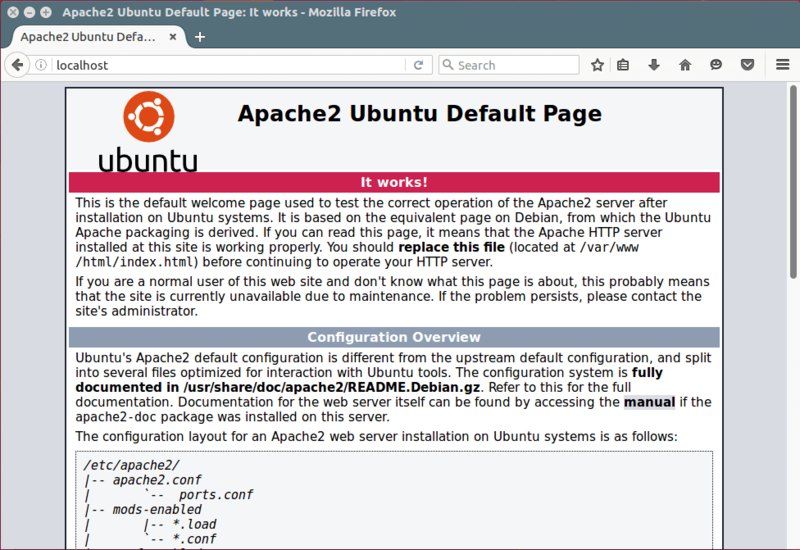 The Apache2 default index page will be displayed in case the web server is up and running. Note: The Apache default root directory is /var/www/html, all your web files will be stored in this directory. If you want to install MariaDB, you can install it using following command. 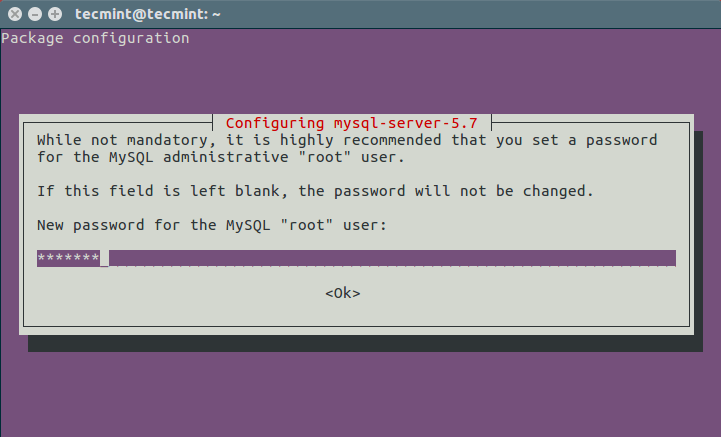 During the package installation, you will be prompted to set the root user password for mysql as seen in the image below. Choose a good and secure password, then hit the OK button twice to proceed further. Firstly, you will be asked to install the ‘validate_password’ plugin, so type in Y/Yes and press Enter, and also choose the default password strength level. On my system, I already installed it. Importantly, if you do not want to change the root password, then type N/No when prompted to do so. Answer Y/Yes for the rest of the subsequent questions. Furthermore, to test if php is working in collaboration with the web server, we need to create a info.php file inside /var/www/html. And paste the code below into the file, save it and exit. When that is done, open your web browser and type in the this address http://server_address/info.php. You should be able to view the php info page below as a confirmation. Open your web browser, then enter your server address: http://server-address to get the welcome page below. Read through the page and click on “Let’s go!” to proceed further and fill all requested on screen information . Hoping that everything went on just fine, you can now enjoy WordPress on your system. However, to express any concerns or ask questions concerning the steps above or even provide additional information that you think has not been included in this tutorial, you can use the feedback section below to get back to us. I followed the instructions and this worked great! Built it on an EC2 Instance ion AWS and shut it down over night. When i restarted the server in the morning, It no longer starts the WP site. I have checked the services to ensure Apache and mySQL services are running. I’m not a Linux engineer, but what else do i need to check to get it started? Any error you getting on the browser while checking WordPress? Oh, that’s great! We are glad that this worked well for you. Thanks for the feedback. Please set the MySQL password as explained in the article, and then connect to mysql. Are you sure you are using Ubuntu 16.10 or 16.04? please confirm this first. 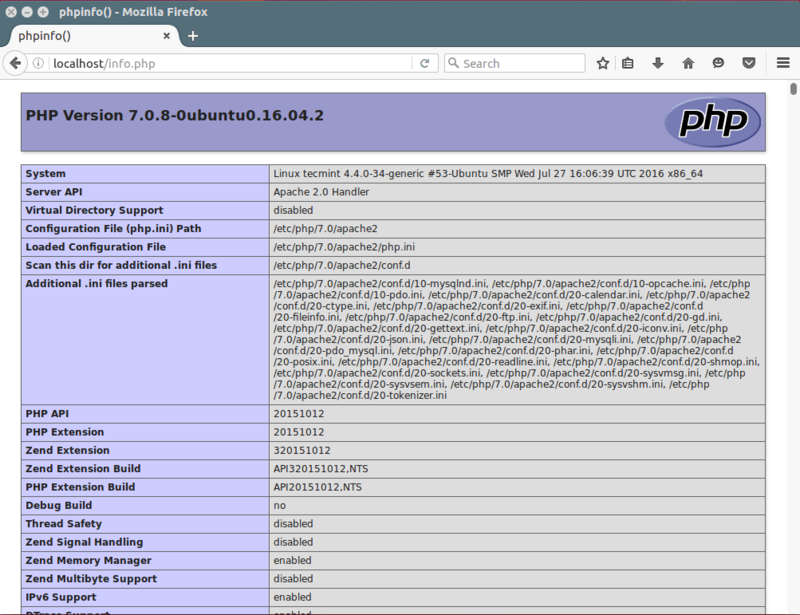 If you are using older Ubuntu 14.04, then PHP 7 is not available from the standard Ubuntu repositories (2016-01-02). You could use the PPA ppa:ondrej/php. You forgot to delete index.html – Did you test your steps? Ubuntu 16! Oh, yes, I tested but forgot to include it the guide. We shall update article to reflect this. I have setup vista CP + WP but i am getting issue to edit files through ftp and can’t upload images in admin. I am having issues with restarting mysql. It says it failed because the control process exited with error code.